Today, in the mail, I had the great surprise to find a package coming from Lemaker. 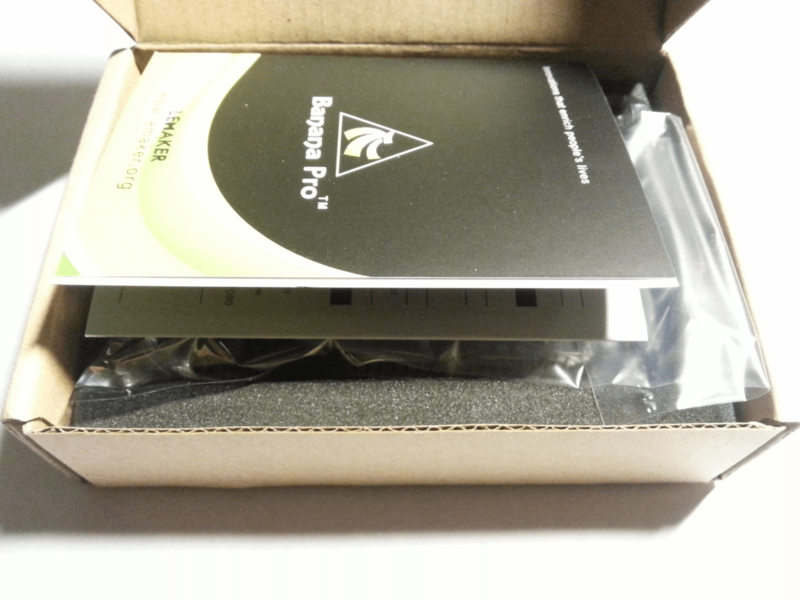 Inside the package is their new Banana Pro. Let’s have a first look at it. Great packaging, good job Lemaker ! They even added a « First start » booklet, with instructions and hardware specifications. The new Banana Pro board. The external WiFi wire antenna is part of the bundle. 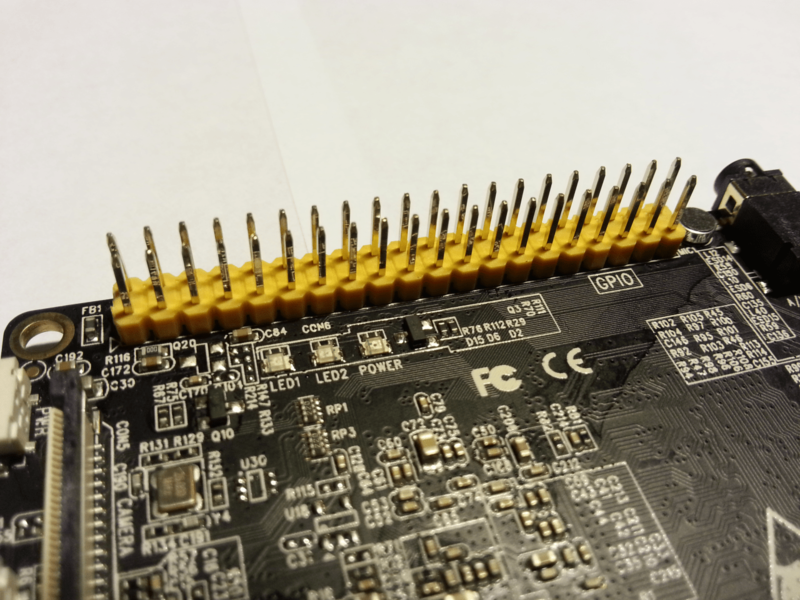 Low-level perpherials 40 Pins Header,28×GPIO, some of which can be used for specific functions including UART, I2C, SPI, PWM, CAN, I2S, SPDIF, LRADC, ADC, LINE-IN, FM-IN, HP-IN. 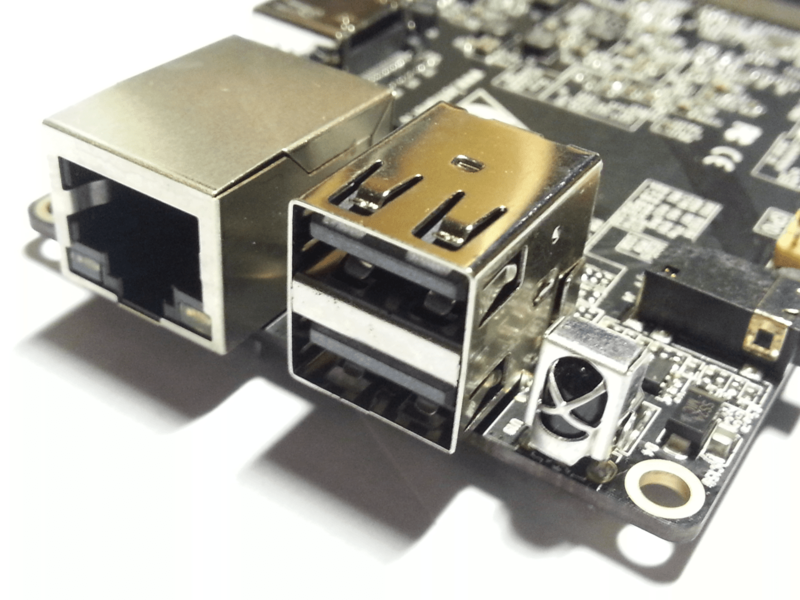 So, we now have a Raspberry Pi A+/B+ compatible 40 pins GPIO header, MicroSD slot, onboard WiFi, and audio/composite video output now share a common 4 pins 3.5mm jack. 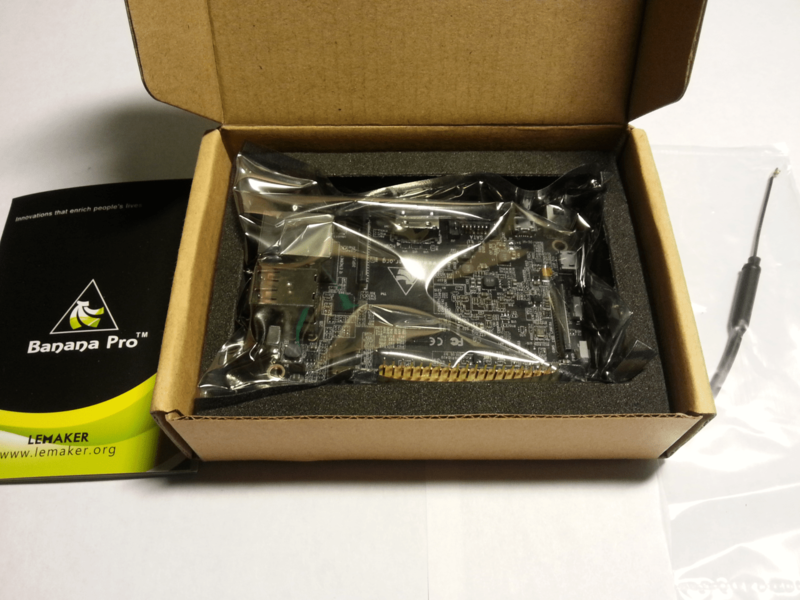 Of course, Banana Pro still have a Allwinner A20 DualCore 1GHz CPU, HD capable Mali 2 GPU, 1 GB DDR3 RAM, Gigabit Ethernet, 2xUSB2.0, 1xUSB OTG, SATA 2.0, HDMI 1.4, onboard microphone and IR receiver, CSI camera and LVDS connectors, 3 LEDs and 2 buttons. Overall, the build quality looks great. 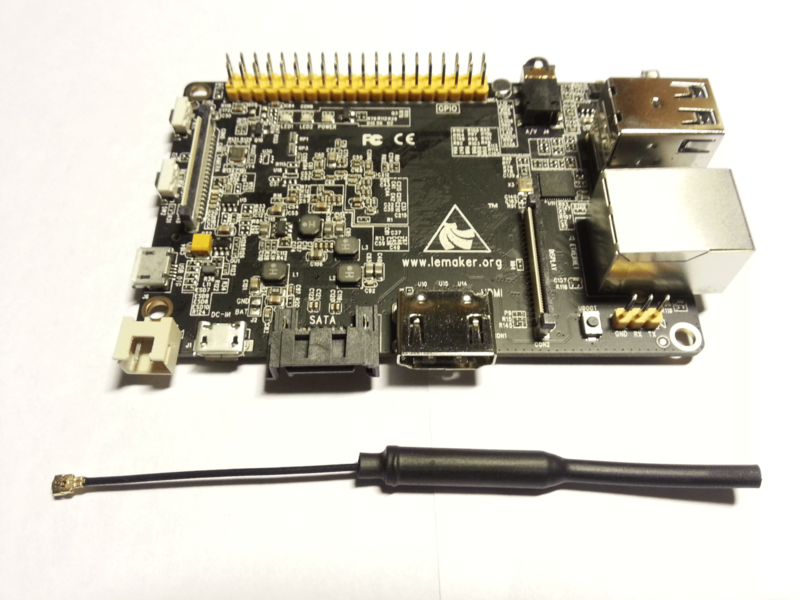 Compared with the original Banana Pi A-20, the Banana Pro PCB is thicker : 1.5mm vs 1mm. 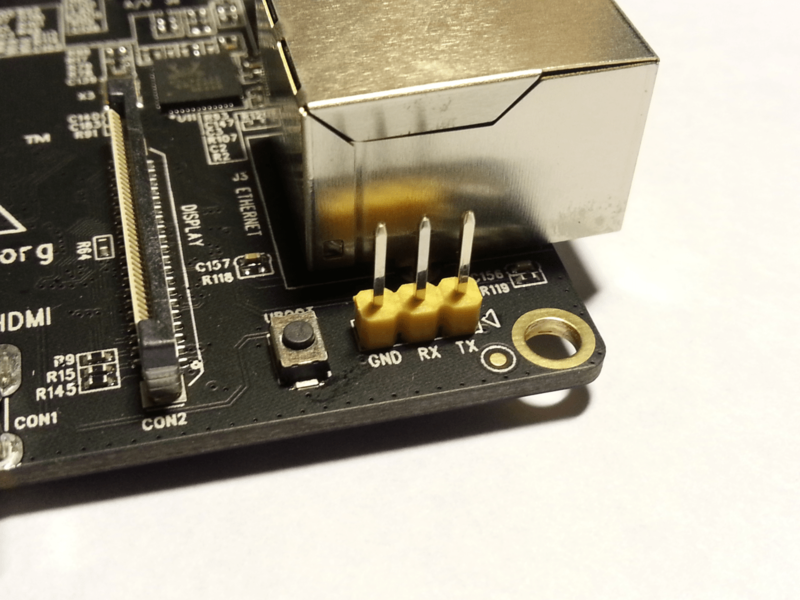 The main improvements over the previous version are the 40 pin GPIO header and of course onboard WiFi. 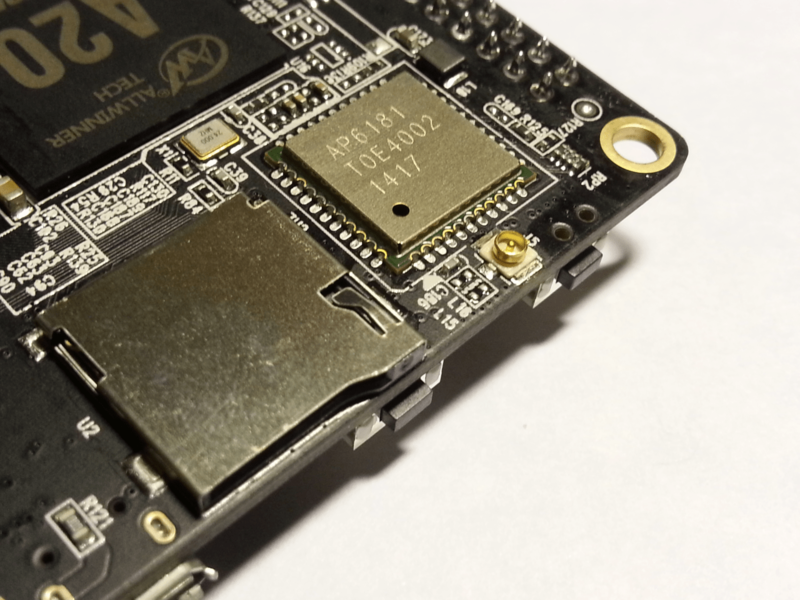 Worth noting, I don’t see any PCB antenna and AP6181 chip doesn’t seem to have one, so wifi external antenna is very important. It’s great Lemaker added one to the package, I will test it later. It’s also possible to use a SMA to U.FL cable and a « real » wifi antenna. 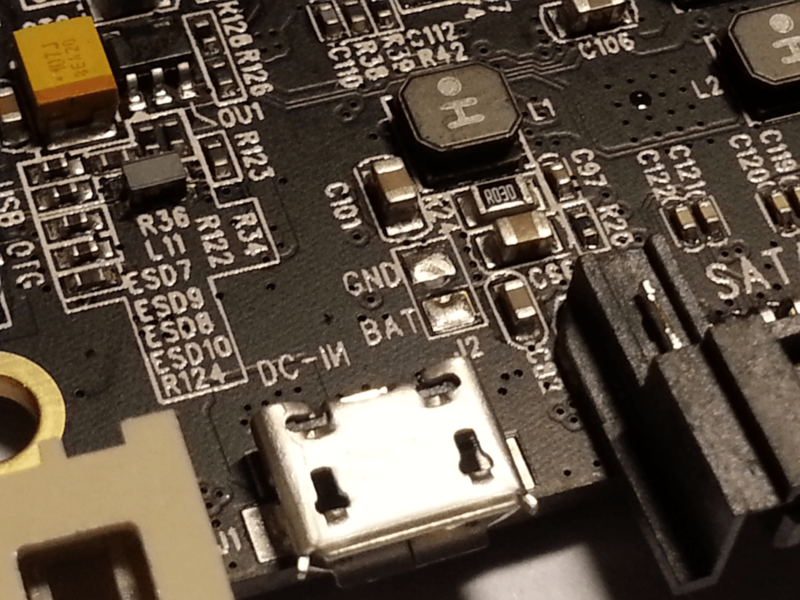 I don’t have any details about the GPIO new functions, but I will try to find them and update this blog article. 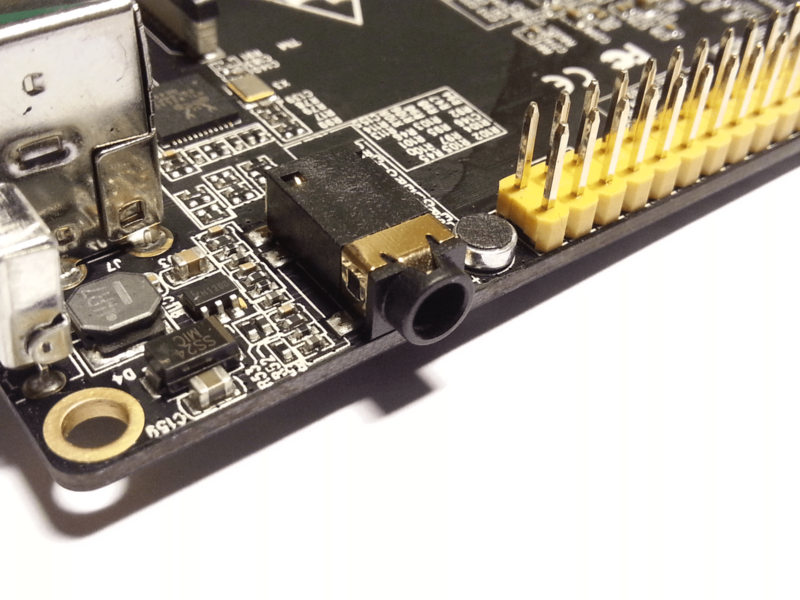 The video / audio common output reduces the board footprint, let’s hope it shares the Raspberry Pi pinout. LEDs are now grouped in the same spot and well aligned. The blue LED now shows mmc activity (it was a network activity indicator on the Banana Pi, redondant with the ethernet socket LEDs). I bet this blue LED is now user definable, like the green one. These LEDs are aligned behind the GPIO header, so they may be blocked by a daughter card, but it’s still an improvement. 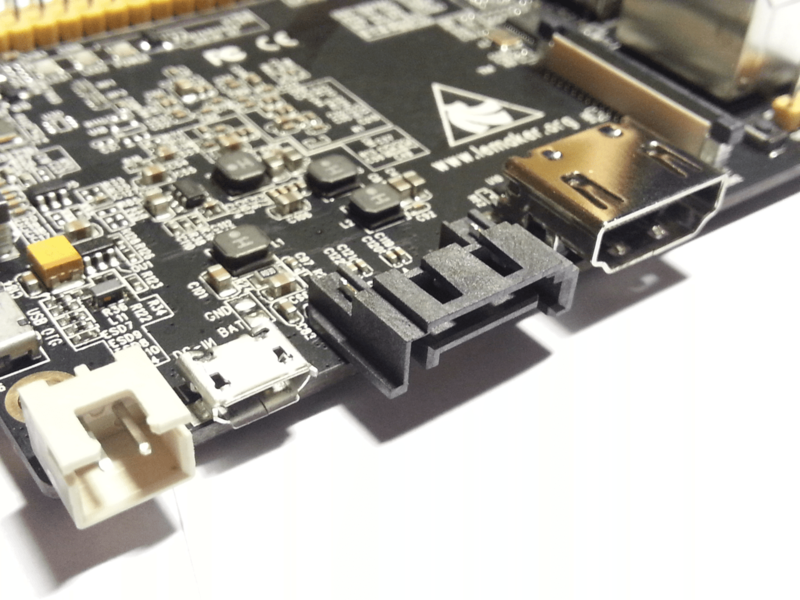 The battery solder pads are also still present on the Banana Pro, but are way smaller. 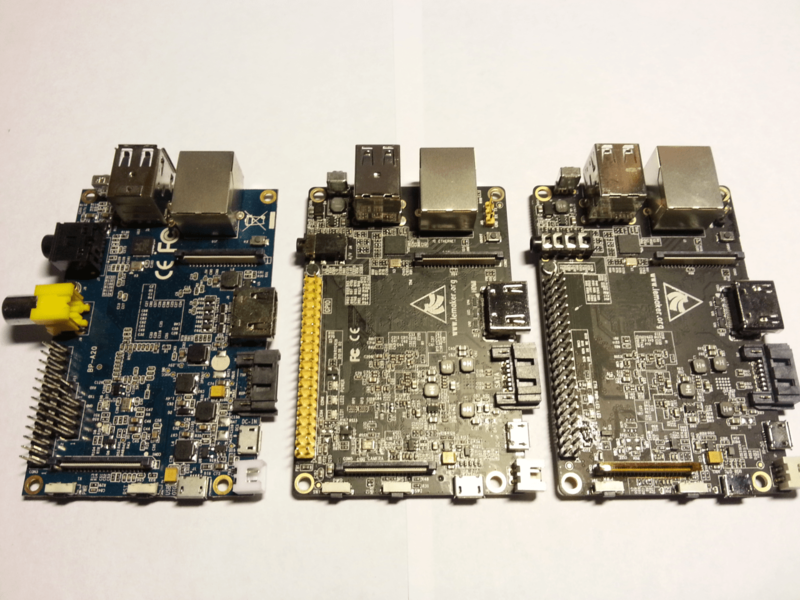 Banana Pi A-20, Banana Pro, Banana Pro (early prototype). Main differences between prototype and final revision are the wifi chip (RTL8189ETV on the prototype) and a new piece of circuitry next to the LEDs, The prototype also had some RAM issues causing mine to malfunction after a while. It is fixed according to Lemaker. Next time, I will install the operating system and conduct some tests on it.